Numbi promotes all that is gorgeous, funky and fresh in London. A cross-cultural arts platform, it is the place where gifted poets flex their linguistic muscle, talented musicians make you move our feet and cutting-edge filmmakers keep you glued to the screen with their latest films. Numbi is about art, movement, dance, rhythm and it’s about fun! Due to take place at the Rich Mix on Saturday, 25 March, Numbi has a power packed event lined up for art and culture lovers. In the poets’ corner is Dorothea Smartt, a poetess-extraordinaire of Bajan descent. Sai Murai, a funkadelic genius whose cadences have a soulful flow, Elmi Ali and Sam Elmi, two Somalis, who wield words, which demonstrates there other ways of seeing and being. Eritrean-born singer, Miryam Solomon will also be performing in Tigrinya, the official language of Eritrea, with Bronzehead, a multi-culti crew of Afrobeat funkateers. Bronzehead will be accompanied by the legendary Somali musicians, Salax Xariri and Macallow. On the night, visuals will be provided by Nathalie Mba Bikoro and Jos Argyle and the DJ ‘selecta’ will be the inimitable Bradley Zero. 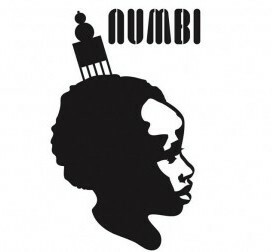 Numbi is certainly a melting-pot of cultures and nationalities, which includes, British, Guyanese, French, Spanish, Nigerian, Creole (Bronzehead alone are made up of 11 members all from different countries). Numbi’s regular feature – The Market – will also be on display for guest to feast their eyes on gorgeous pieces of art, jewellery and much more from specially-invited artists, makers and designers. Surely a reason to come out despite the cold! This entry was posted on Friday, February 24th, 2012 at 5:44 pm	and is filed under African Diaspora, Art and Culture, Black Britain. You can follow any responses to this entry through the RSS 2.0 feed. You can leave a response, or trackback from your own site.